Tell us about your dream Austria Tour. We will tie you up with 3 top Austria travel specialists who'll compete to plan your custom trip in the best way possible. Secured in between the soaring Alps, Austria is a captivating country having dreamy landscapes, marvelous baroque architecture, picturesque meadows, and grasslands. The country is known not only for its scenic beauty but for its cultural activities as well. It is a well-known place with skiers and hikers, but Austria is also a country that provided the world with an important musical heritage, ranging from the Strauss Waltzes to the Von Trapp family and the classical composer Mozart. From the best operas to the most lavish desserts, pretty villages and the magnificent cities, Austria has the perfect ingredients to intoxicate one’s senses. Planning a trip to Austria is all about witnessing the beauty of the Mountains, lakes, palaces, castles, architecture, history, art, and much more. And, of course, one cannot miss its relation to music. Austria is a place where music is so firmly entrenched into its land that it will feel as if people speak in the language of music. Austria, from its safe, enchanting, and picturesque land has produced some of the best musicians in the world. Planning a trip to Austria is nothing more than winning a lucky draw for traveling into the architecture singing the music of beauty and pleasure. One can get to experience outstanding grandeur, music, heritage, and aristocratic lifestyle. With our suggested Austria travel agents and specialists, one can find the best possible to explore every nook and cranny of this musical gift of nature. Everything here is so beautifully planned that anyone will fall in love with the place. Every part of the nation is beautifully located in a picturesque background. There’s ease connecting to people, because of their friendly behavior and the coffee houses are welcoming throughout the day. One can get an overview of the city and what beauty they are going to witness just after landing at the airport. From the impeccable transport services to extraordinarily favorable climatic condition and the perfect view of the rivers, Alpine Meadows, and lifestyle can win anyone’s heart. Ones in Austria, it then becomes quite a tough task returning back. You’ll feel like staying back in Austria. Of all the 6 International airports in Austria, (VIE) / Vienna International Airport is the biggest one with flights going to 66 countries and 194 destinations. Vienna International airport is the hub of Austrian Airlines. It takes less than twenty minutes traveling to the central part of Vienna. Most cities can be easily reached by bus from Vienna airport including St. Polten, Linz, Wels, and other cities. In the South, Austria shares its border with Italy and Slovenia, in the North with the Czech Republic and Germany, in West with Switzerland and Liechtenstein, and in the East with Hungary and Slovakia. With the perfect location of the country, it’s considered one of the most visited places in Europe. The reason being travelers can make way to visit bordering countries very easily. In addition to music, this perfect location, extraordinary hospitality, and the majestic architecture, the country is no less in natural beauty. From outside of the major cities, the tiny beautiful villages with beautiful Lakes & Mountains in the backdrop, planning Austria Tours is the perfect thing for those who admire the gift nature is. The Celtic tribes used to be the inhabitants of Austria before the Roman Empire came to rule the region. It was after the fall of the Roman Empire that Christianity was introduced here by Charlemagne. To the end of WWI and the beginning of the 13th century, the Habsburg emperors ruled the country. In 1938, at the time of WWII, the Nazis annexed the country. Austria particularly is the perfect location, both for the art lovers and history buffs for the plenty of UNESCO World Heritage Spots, art galleries, museums, and heritage monuments. As a part of the European Union, Austria gets all the privileges that other EU countries get, same visa, same currency, and most importantly the same pace of life. Austrian German is the official language of the country with almost 88% of the population of speaking the language. Other popularly spoken languages include Croatian, Serbian, Turkish, and English. 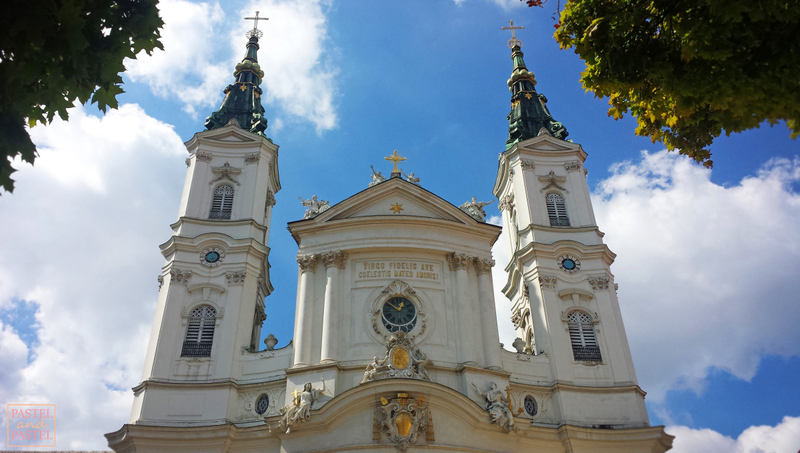 Around 74% of the Austrian population is Roman Catholics. Our suggested Austria tour agents will explain every subtle detail about the languages and religions followed by the Austrians. Talking about the main food in Austria; it’s particularly influenced by Balkan, Czech, Hungarian, and French cuisines. Some of the typical Austrian dishes that the world knows are Sachertorte, Schnitzel, and Schweinsbraten. Other traditional dishes include vegetables, pork, and beef. And, the country is also popularly known for a variety of drinks including coffee, wine, and beer. Most Austrian people like Lager and wheat beer. The most advantageous aspect of traveling with our recommended Luxury Austria Tour Agents is that you will not miss anything special here. And, in addition to all this, there are plenty of romantic places in Australia. Planning a trip to Austria for those looking for honeymoon trips can be the perfect thing. It is these destinations that have made this beautiful landlocked European country one of the most visited tourist destinations in Europe. From the royal monuments in Vienna to the lakes near Innsbruck and the historic quarter of Salzburg, every part of it has something unique. Other top tourist locations in Austria are Vienna City Hall, St. Stephen's Cathedral, Hohensalzburg Palace, and Mirabell Palace. Planning a honeymoon trip in Austria during winters is very famous. From the tiny villages to the big cities, every part of the country is worth visiting. Give Leisure.com to help you plan your trip with our recommended Austria travel agents and specialists and we’ll keep no stone unturned in making it the best trip of your life. Austria, the beautifully enchanting country, with dreamy landscape and perfectly picturesque location, will definitely sweep one off their feet. From the soaring Alps to the music flowing through its veins, and the picture perfect grasslands, and meadows, everything looks so impeccably interesting. Our recommended Austria travel agents will take you through some of the best places in Austria. Let’s see some of these interesting places! 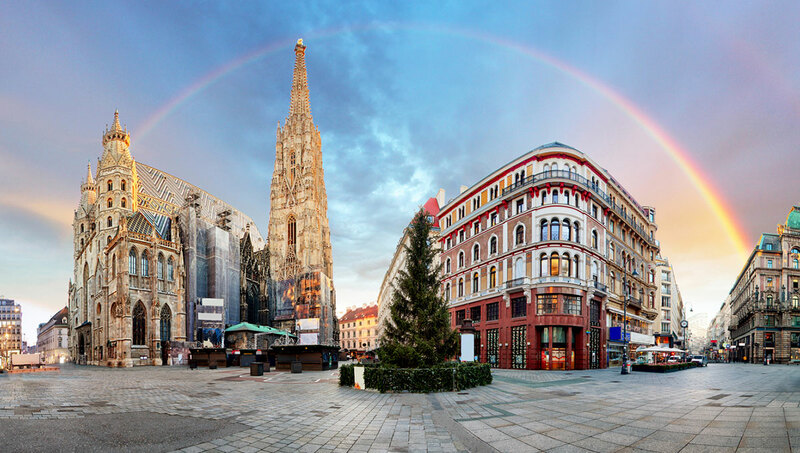 Vienna, the capital city is the part of Austria that is all steeped in grandeur and culture. Grand palaces, Opera, Beethoven, and museums, everything is grand here. The most enchanting way to dive into the beauty of Vienna is walking through the beautiful Ringstrasse Boulevard that is lined with Imperial Palace and a number of amazing parks. For the history & art buffs, the ornate St Stephen’s Cathedral, the Belvedere Palaces, and the opulent Schonbrunn are some of the must-visit places that you can’t miss visiting. Sipping the famous Viennese coffee at one of the coffee houses is a perfect idea. Talking about Salzburg; this charming city will definitely take one’s breath away. It’s a beautiful city with a charming landscape, Mozart and magical historical buildings. The city is also most popularly known for being the birthplace of the well-known composure and the spot where the famous movie Sound of music was shot. Salzburg is one of the best places to visit in Austria. The UNESCO World Heritage Site, old town Alden is one of the most popular locations in the country. Hire our recommended Austria Tour agents and experts and they will be guiding you through every nook and cranny of the city. Innsbruck, the town surrounded by high mountains is something that completely justifies planning a trip to Austria, into the heart of Europe. There are a lot of options to enjoy; one can walk through the old town and enjoy watching the glittering Goldenes Dachl. Also, the Tyrolean Folk Art Museum is one of the most visited and famous museums in Europe. Innsbruck is the perfect destination that can be visited in all the seasons and can be equally enjoyed. There are plenty of ski resorts here, that makes it one of the most popular locations for the adventurers. One can go for bungee jumping, hiking up the gorgeous meadows, taking the thrilling funicular ride and much more. Located near Salzburg, will bring the quintessential experience with glittering blue Lakes, charming villages, luxurious spa towns, and stunning alpine ranges. The dreamlike UNESCO listed village Hallstatt, located along Lake Hallstatt is one of the best places to visit in Austria. From the beautifully colored houses to the Ice Cave on Dachstein Mountain, and the underground salt lake Salzwelten, every part of the village looks magically enchanting. And, therefore, we at Leisure cherry-pick our Austria Luxury Travel agents in a way that our travelers will be introduced to every corner of this enchanting land. Graz is the second largest towns of Austria! With its six Universities and some of the best preserved Old Town areas, this part of Austria has a lot to help the traveler inside you. For those looking for the most impeccable recipe for an Austria vacation, this is the perfect place to explore. From the plenty of museums to the renaissance style buildings, impressive baroque, and every bit of it is beautiful. Graz also is one of the best places in terms of culinary delights. In nutshell, Graz is a must-visit place. This is the perfect summer destination in Austria. From pretty churches to Canoeing, and spelunking, everything here will sweep one off their feet. There’s no dearth of options to enjoy along the beautiful Worthersee Lake. One can choose to go for boating, swimming, and canoeing while traveling in the summer months here. For experiencing some thrill and adventure, one can head towards the colorful Griffen Stalactite cave. Also, seeing the Gmund the birthplace of Porsche and the ancient Cathedral of Gurk is a must. This is the perfect place for those who want to rejuvenate their soul. The idea is taking a dip into the healing hot spring waters and breathing into the pure mountain air. Also, the spa town of Bad Gastein cannot be missed. Our Austria travel agents will make sure that travelers are not missing on any of the important places. Tourists from around the globe also come here for skiing. Majestically located on the High Tauern Mountain, it’s considered one of the best places to visit in Austria. This is the perfect place to get an astounding view of the German and Swiss Alps with its impeccable location on the Eastern edge of Lake Constance. The most perfect way is to take a cable car and get a picturesque view around Lake Constance. Enjoying lunch on top of the mountain is also the perfect idea to enjoy this part of your Austria trip. For those traveling here between July and August, enjoying opera and orchestras is a must. Our selected Austria travel agents will take tourists around the museums where they can revel at the spectacular art & history legacy of the buildings. The Wachau valley with the beautiful Danube River in the vicinity is Austria’s one of the most popularly known tourist destinations. And, it’s particularly known among the wine-lovers for production of some of the best quality of white wines here. The Wachau valley is a UNESCO world heritage site for its unmatched natural splendor and cultural significance. Spring and Fall are the best seasons to plan a trip to Austria. During this time the weather is excellent and pleasant. It’s perfect for outdoor activities with not too many tourists around. June to August is the season when most tourists travel here. With Sunny days and excellent weather, it’s completely exhilarating visiting this part of Europe. But, the expenses are going to be considerably high during this part of the year. November to March, there are no tourists around the city and most of the small towns go for winter closure. During this season one gets the perfect space for a lot of cultural activities in Vienna. The Luxury Austria Travel agents and experts are supposed to guide their clients to enjoy every bit of it. December to March is the Ski Season of Austria. Come and delve deeper into the adventure! Some of the most sought-after accommodations in Austria are boutique hotels and palatial townhouses along the historic lanes of Salzburg and Vienna. There are also spa hotels located in the mountains that are constructed from wood. Staying in the converted palaces will give a feeling of being in the times of Hapsburgs empires. It gives a feeling of being in the bygone era! Most five-star hotels in Austria have the perfect location with the River Danube, the alpine lakes, and Renaissance streets in the backdrop. Although the Austrians are not known for their hospitality, luxury hotels in Austria are welcome their tourist overwhelmingly. Our Austria travel agents will let their clients know that there are plenty of International chains particularly in Vienna that caters to the customers with a variety of additional choices. The spacious wooden chalets and many more self-catering options in the Alps will be the perfect kind of accommodation for friend groups and families who have come to see the best of Austria. There’s too much space for the travelers to spend some alone time. While traveling through the mountains travelers often choose to stay in mid-size hotels having the spa and are typically made from wood. In cities like Vienna, luxury hotels with most updated facilities are particularly common. One can find most of them in large 19th-century properties in Salzburg and Vienna. Being a part of the European Union, Austria follows the same rules as that of in other parts of Europe. Like in the (France, Germany, and others), also in Austria, tourists from Canada & US can travel without a visa. Before venturing on a trip to Austria, one should make sure to pack for clothes for all seasons. The reason being, the climatic can sometimes be really variable. It’s completely different Vienna as compared to that in Garz. Austria is a modernized country with the technically sound banking system, and it’s easy to find ATMs at every nook and cranny of the country. It’s even easily accessible in the villages. However, as per our experienced & trustworthy Austria tour agents, one needs to take along some cash. The reason being, small shops accept payment only in cash. The Austrian lifestyle is considered one of the healthiest in the world. The fresh air coming from the Mountains and the organic food offered in most parts of the country makes it one of the most visited tourist destinations in the world. Also, the country boasts of impeccable medical facilities. You can even find people in rural medical centers who can translate everything into English for travelers. There is no relying on bottled water because the pure & tasty water coming through the Western Asia taps will have no harm. And, one can love it! There’s a safe environment in Austria and Vienna has been found to be one among all the safest cities to travel in the World. There are only negligible chances that a tourist goes through any problem. Moreover, our recommended Austria Travel Agents & specialists will be there to guide the safest possible way. While traveling through Austria, one will come to realize that this part of Europe is particularly very patriotic. And, the people here identify themselves with the region/state they belong to, and not the country (Austria). Traveling with local travel agents gives an extraordinary feeling to tourism. This is the taste of Austria. It’s a little tough to understand the complex history and the regional stories/legends of Austria. Only the locals can give an explicit picture in their own way and explain what is all about modern Austria. Other than in Vienna, in most parts of the country, people are quite conservative. Most of Austria is inclined towards the rural lifestyle. Each part of the country (in different regions) has its own customs and cultures. The Austrian nation as a whole does not follow any customs & traditions. They prefer being in their own region style be it food, dressing or anything else. At once, while it seems that Austrian people are unfriendly and hard to talk to. But, that’s not true, it feels so talking to them, because of their rural conservative roots. Leisure.com is a well-organized platform whereby travel enthusiasts can connect to reliable & skilled Austria tour agents & specialist in a hassle-free way. These Austria tour agents have been enlisted in the company’s portal only after going through strong filtrations. The company makes sure to enlist only those agents & specialists who can be trusted and have gotten extremely positive reviews from past customers. These Austria Luxury Tour agents have all the required knowledge about how to travel in Austria. They know every nook cranny of the country and the legends & stories associated with it. Our valued customers just have to contact the team and Leisure.com will give a blueprint of their trip to Austria. Our team will design a customized Austria trip for every customer who puts an inquiry on the website. We’ll make sure to cover every area and taste of the country in the least possible and in the most affordable way. Leisure.com values its client’s time & money and works accordingly. Showing trust in us can make the best of your trip. Let Leisure.com help you get the dreamlike experience you have always wanted. Leisure.com will be happy to help you throughout your trip! !